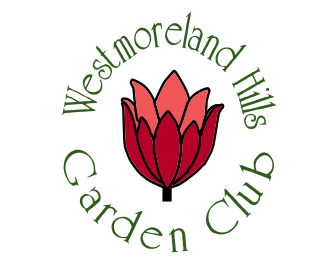 The Westmoreland Hills Garden Club (WHGC) has been recognized for decades for our contributions to the neighborhood and community, as well as to local and national garden club organizations. Awards include: civic development and civic beautification citations for our maintenance of the Corner Garden and Wild Plant Sanctuary; recognition of our support of the NCAGC scholarship fund; and recognition of our efforts to promote volunteerism and community spirit in Montgomery County. Perennial Bloom Award to longtime member Barbara Whalen in recognition of her contributions to the Club, including her love and knowledge of gardening, her warmth and willingness to reach out to others, and her leadership abilities. Generous Westmoreland Hills neighbors made a significant contribution to the WHGC in celebration of longtime club member Diane Carberry. President twice, Diane’s leadership was instrumental in such projects as the Corner Garden and Jamestown Creek Wild Plant Sanctuary, as well as the annual creek cleanup of Little Falls. Her energy and enthusiasm for gardening and community building helped WHGC draw together neighbors of different generations and create lasting bonds of friendship. Perennial Bloom Award to Sheila Lindveit for her leadership and many contributions to the club. Sheila was cited for her quiet leadership style—she was president and chaired numerous committees—always encouraging, engaging, and inspiring others. A passion for gardening and the natural world was always evident in her work with the club and in her own garden.